Are you ready for a small ride that boasts some large style? Then it’s time to give the amazing FIAT lineup a good look. Your new FIAT awaits you here. No matter the model or style, when you see a FIAT on the road, you can’t help but notice it. You might not realize what it is at first glance, but that look always lasts long enough to take it all in and realize that you’re seeing that unmistakable, one-of-a-kind FIAT style. If you love vehicles that are super smart, tons of fun, and incredibly pleasing to own, the amazing FIAT lineup offers all the options you need to find the perfect ride for you. The FIAT 500 may be the smallest of the bunch, but it’s been around for over 60 years. That’s plenty of time to evolve this little marvel into the ultra-modern, incredibly efficient compact that you see today. The 500X is the sporty crossover ready to deliver you to whatever adventures you seek out. This ride can take you anywhere, and it’ll turn heads all the way there. If you love the 500X but are looking for more space for passengers and cargo, check out the 500L; the sleek, stylish small SUV that offers a versatile ride. If it’s an authentic Italian designed sports car you seek, there are plenty of options for you, also. You’ll have a blast owning the road around Palestine and beyond in the 124 Spider; Fiat’s signature roaster and one of the best values on the road today. You could also check out Fiat’s line of Abarth vehicles, with even sportier, customizable trims and higher levels of exciting performance. Yes, there is definitely something for everyone in the incredible FIAT lineup. No matter which amazingly sports and stylish FIAT model you may be on the hunt for, we are here to make sure you get exactly what you want. From our high level of personal customer service and fantastically diverse selection to our superior value and pricing, we’re the number one spot to get your ideal FIAT. Take a sneak peek at our selection of New FIAT Vehicles online now, and then contact us with your questions. When you’re ready to stop in and take a test drive in your favorite FIAT, we’ll be here to deliver your best shopping and buying experience yet. 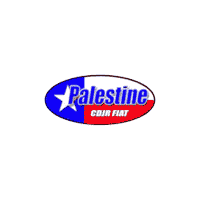 Check us out and see the difference at Palestine Chrysler Jeep Dodge RAM FIAT. We’ll make you like buying cars again.